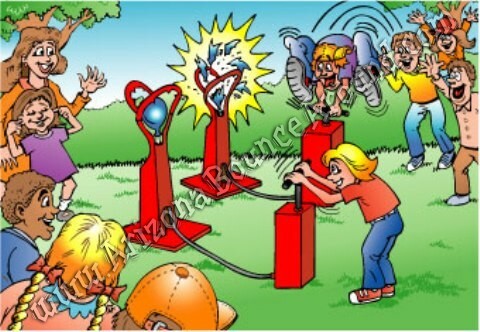 Our balloon blaster game comes complete with 2 balloon pumps and 2 balloon popping stations ready for head to head competition perfect for carnivals, team building, office parties and more. 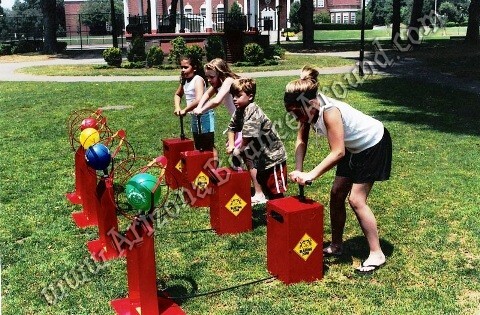 We have lots of really nice balloon pop carnival games to choose from. Add a carnival tent for the real carnival look and feel. Balloons sold seperatly $12.00 for 144 balloons. This balloon popping game requires 11" or 12" balloons. If you provide your own balloons do not buy cheap balloons because they will not work with this game. You need to have high quality balloons. Each balloon popping station will use around 40 balloons per hour so if you rent the 2 station game will use around 80 balloons per hour and the 4 station balloon game will use around 160 balloons per hour.